This is sleep bag which you can carry anywhere. This is made from the finest light-weight material to make it easy to carry, with smooth finish and makes you feel comfortable. Highly portable you can carry anywhere. MUST FOR CAMPING, HIKING, ADVENTURE. Compact and you feel really cozy when you get into it. TRAVELLING SLEEPING BAG comes with a compact outer carry cover with handle for easy carry. Simply pop out..
TRAVELLING SLEEPING BAG anywhere, the bag fills out, slide inside, zip up, and rest or sleep in! SLEEPING BAG is also ideal for your house as it can be used when extra guests pop in and you are short of mattresses. 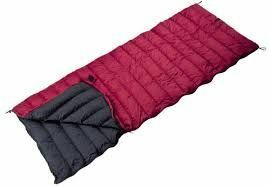 You can also sleep on top of sleeping bag without sliding inside as it forms a soft cushion mattress. DIMENTIONS: 210 cm long and 70 cm wide. 1. Anyone can use it whether its male or female or children of any age. 2. Its good for people who often go out for tracking, picnics and holidays.